SC Bulldogs are about more than JUST baseball. The easy part is learning how to hit, field, and throw. The challenge THIS team addresses is how to use these opportunities to teach our players about LIFE. Teamwork, commitment, sacrifice, hard work, appreciation, communication and respect are just a few of the life skills we instill to become, NOT just better baseball players, but better people. Plus, we have awesome looking uniforms. 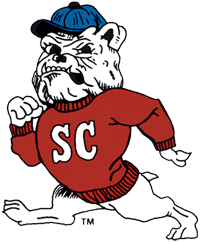 The SC BULLDOGS are SELF/SPONSOR FUNDED and NO FUNDS from Slim’s Chance Foundation goes to the SC Bulldogs. Please check out our Flow Chart to see how the Foundation works.